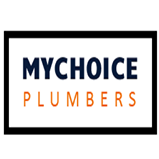 My Home Plumbers are committed to providing the best Evaporative Cooling Services in Melbourne. Our team of experts has vast knowledge to solve all kinds of problems with evaporative cooling systems. So call us today at 1300 162 378.